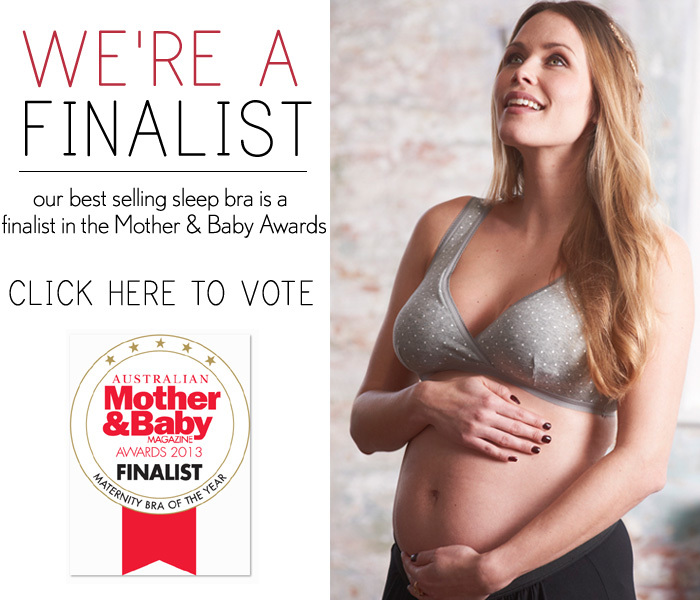 OUR QUEEN BEE SLEEP BRA IS A FINALIST IN THE 2013 MOTHER & BABY AWARDS! Sold for over 6 years our best selling bra comes with discreet pockets for nursing pads, and is extremely comfortable for night feeds when that bit of extra support is needed. 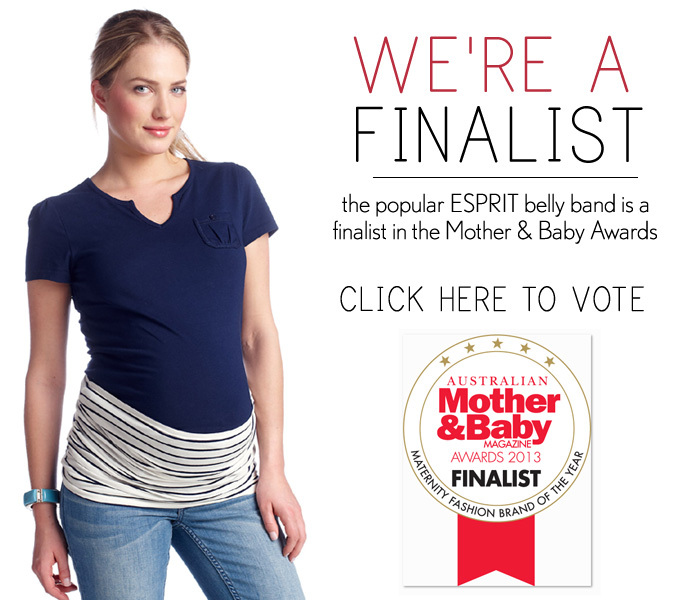 THE ESPRIT BELLY BAND is also in the running for 2013 BEST MATERNITY BRAND - providing stylish support for blooming bellies. Available in array of prints and colours there's one to suit your pregnancy style. The second annual Mother & Baby Awards celebrates the best baby buys in the nursery market. Products are tested in three settings: at home in real-life situations, in a retail environment and online. The Mother & Baby Awards are judged by real mums and bubs and an expert panel at Mother & Baby. The products submitted are assessed on quality, value for money, user-friendliness and innovation. The public are also invited to cast their vote to determine the Cult products for both mums and their little ones. All those who participate and vote for their favourite nursery products in both online categories will be in the running to receive the ultimate baby hamper. Visit the VOTE page to find out how you can win! Simply enter the VOTE section of the website and register your details or login with Facebook, then choose your favourite product both Cult Product for Mum and Cult Product for Nursery categories and confirm your selection – easy! Once you’ve voted in both categories, you will be entered into our major prize draw. Online voting commences 22nd May 2013 and closes 3rd July 2013 at 11.59pm AEST. The major prize draw will take place on 4th July, 2013. Winners of the gold, silver and bronze awards categories will be announced at a ceremony on September 24th 2013. 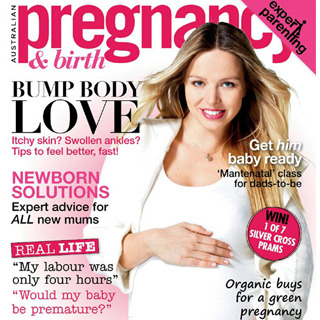 Super excited to pickup the latest issue of Pregnancy & Birth Magazine to find Queen Bee on the cover!